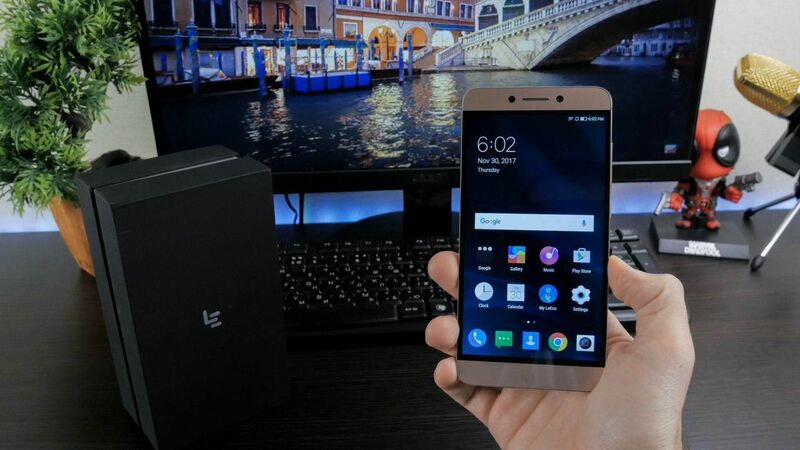 If you are not from China, you probably have not heard about LeTV. 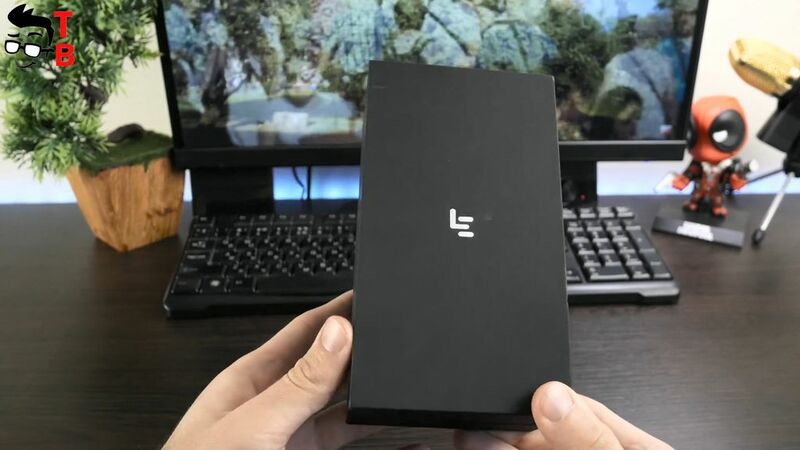 In fact, this is the old name of LeEco. Moreover, it seems that now LeEco company is closed, but you can still buy a smartphone from this manufacturer. You may ask – why to buy a smartphone from a company that does not exist? The answer is simple – because smartphones are worth it. Just over $100 you get a good smartphone with 3/32GB of memory, 16MP main camera, 5.5 inch Full HD screen and Snapdragon 652 chipset. Sounds pretty good yeah? 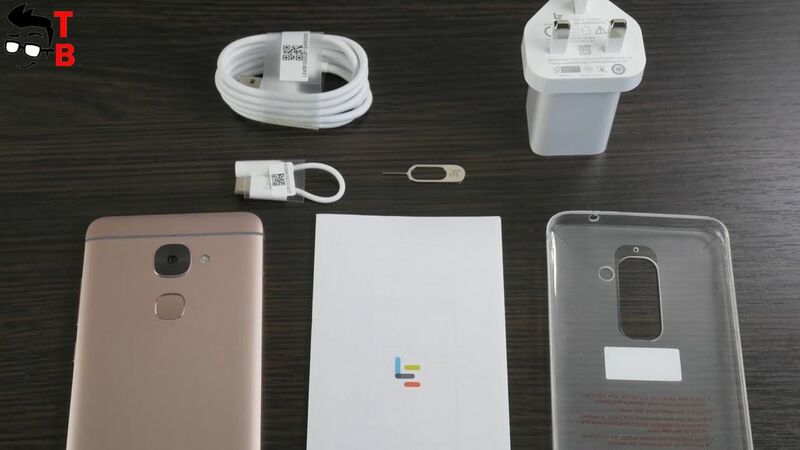 This smartphone is called LETV LeEco 2 X520. Another interesting feature – it has about 80000 points in AnTuTu. I think it’s really good for $100 smartphone. 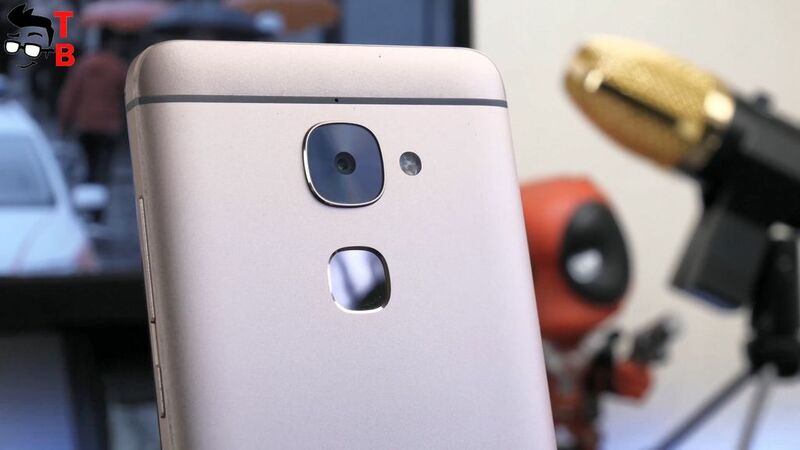 As you understand, today I’m doing a review of LETV LeEco 2 X520. Let’s start with unboxing. 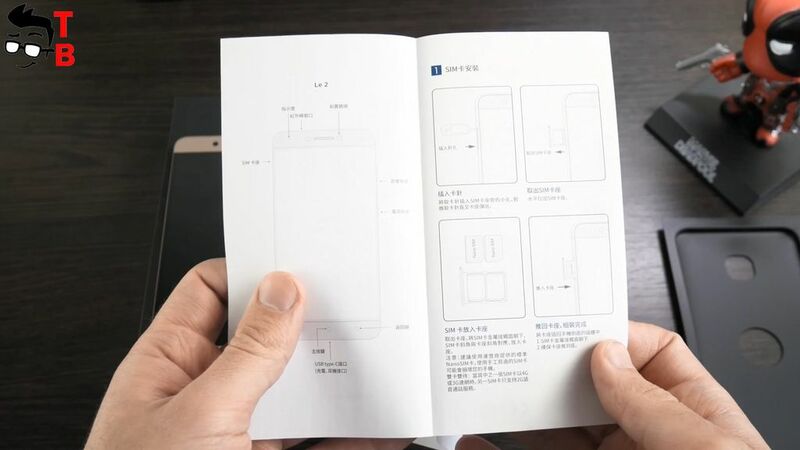 The smartphone comes in a square white box. The front panel has only company logo, while the back panel offers a specification list. Here you can find model number, chipset, ram, camera and other details about smartphone. 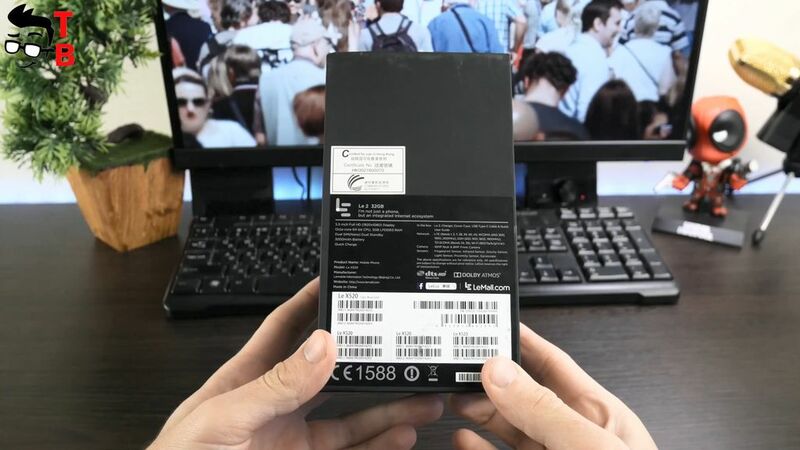 Inside the box you will find the smartphone. 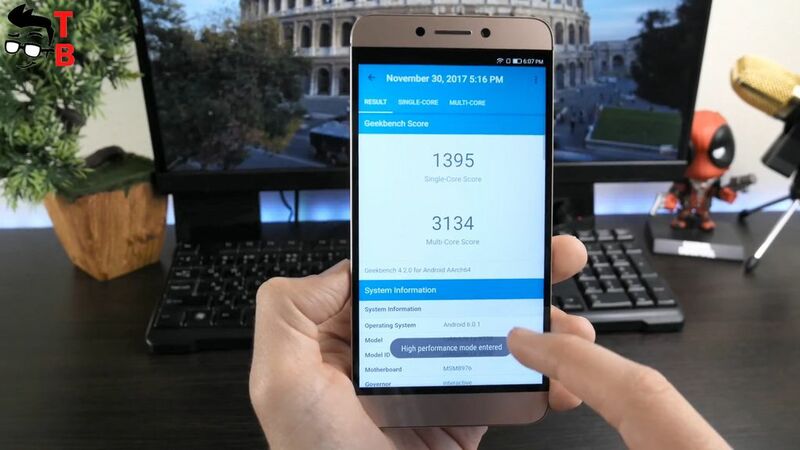 It looks like LeEco Le S3 X626. We already reviewed this smartphone. You can watch it by the link in description. 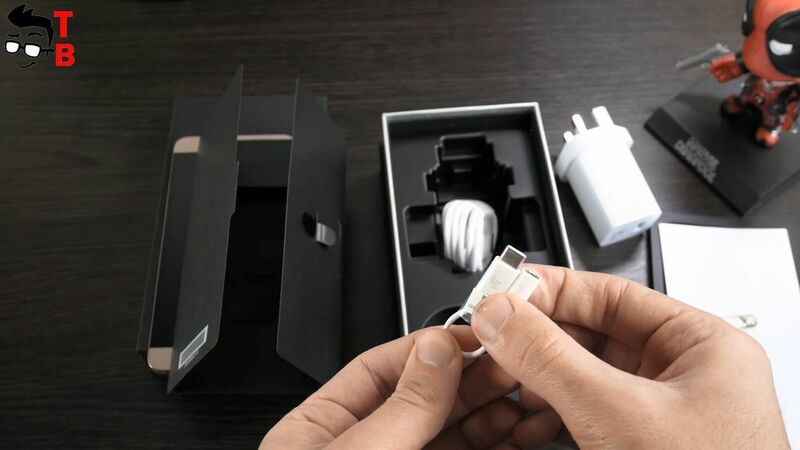 Also there is user manual and warranty, USB Type-C cable, sim needle, power adapter with fast charge, back case and USB Type-C to 3.5 mm audio jack adapter. It is really important because the smartphone doesn’t have classic 3.5 mm audio jack. 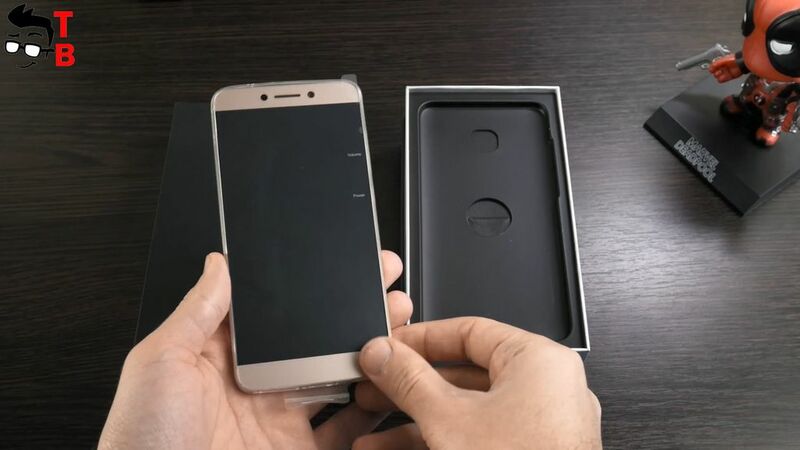 As I already said, LETV LeEco 2 X520 looks very similar to LeEco Le S3 x626. It has the same full metal body, big display and fingerprint reader on the back. 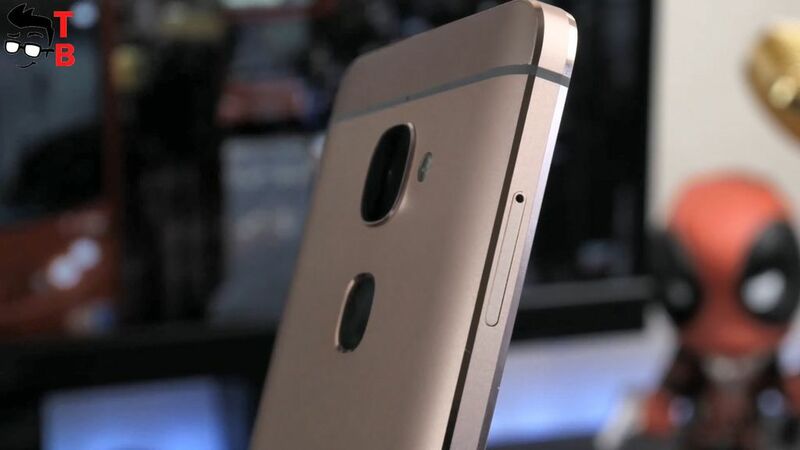 The smartphone comes in rose gold and gray color. I have rose gold version and it looks great. On the front panel there is 5.5 inch Full HD display with pretty big bezels. 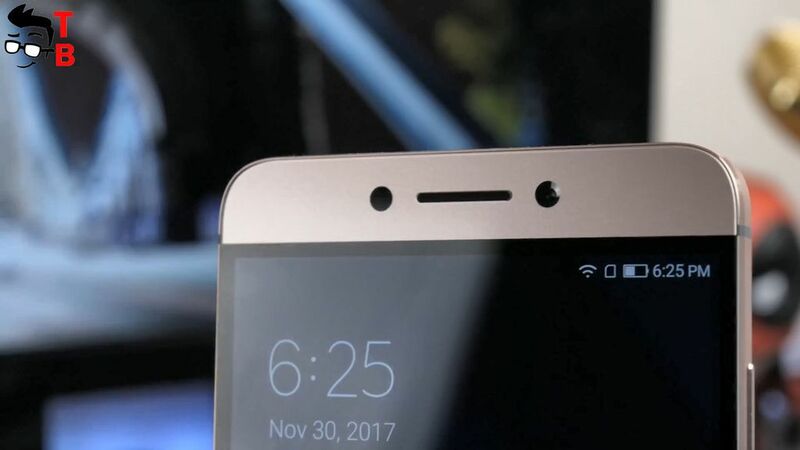 Nowadays there are a lot bezel-less phones, and LETV LeEco 2 X520 looks quite old with its large bezels. Under the display you can see backlit capacitive buttons. At the top there is notification LED, 8MP front camera and proximity sensor. The back panel has minimal elements. 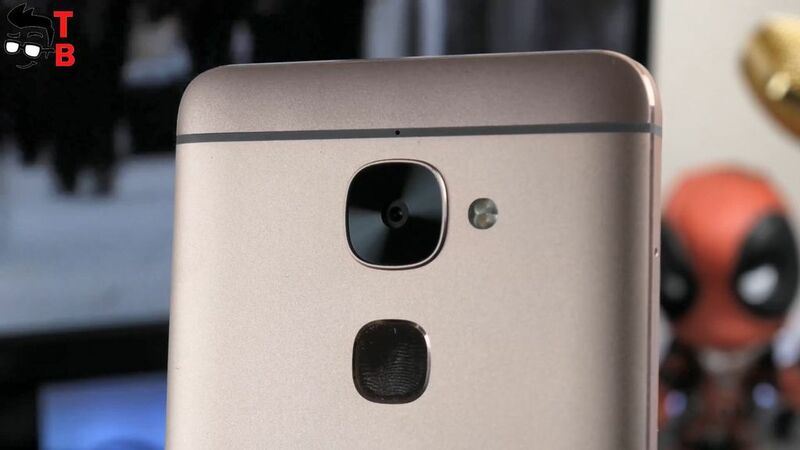 You can see main rear camera and dual-LED flash, fingerprint reader and company logo. Above and below are two antenna strips. Now let’s see the bottom part. 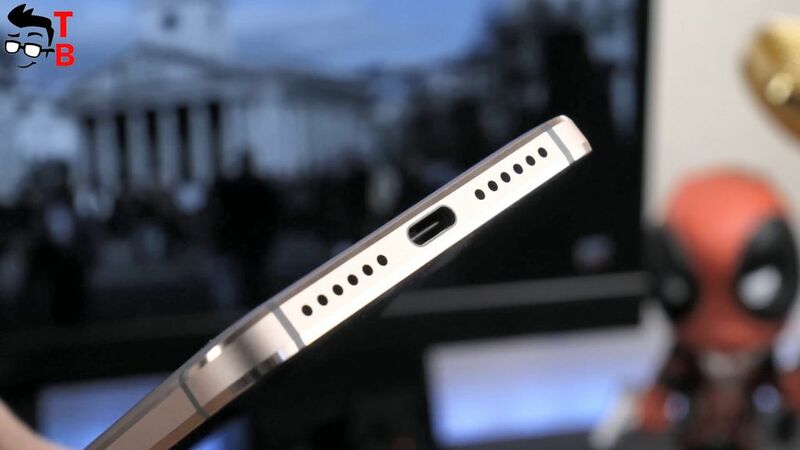 Here you can see USB Type C port and speaker grills. 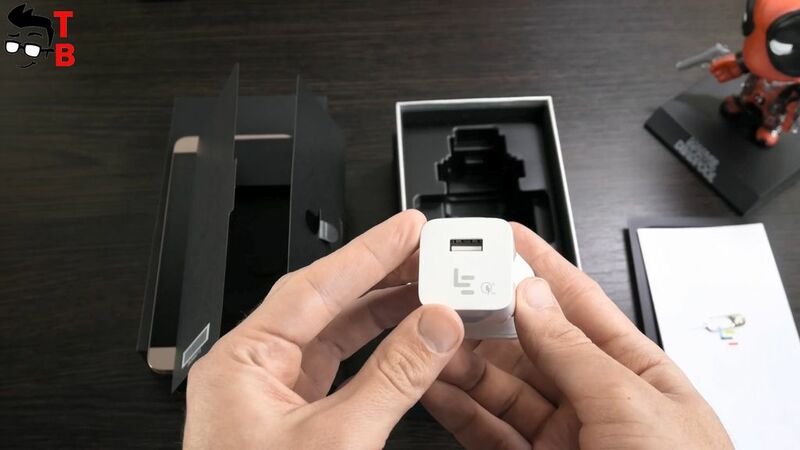 You should note that LETV LeEco 2 X520 doesn’t have 3.5 mm audio jack, so you need to use adapter that comes in package. From above you can see IR blaster to control devices like TV. The right side has volume rocker and power button. They are located in the right place and easy to press. The left side has slot for dual SIM card. 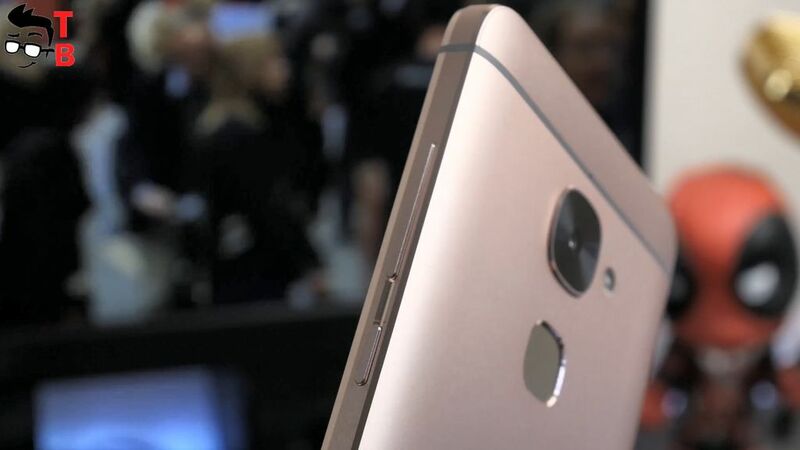 LETV LeEco 2 X520 has simple and pretty design. The smartphone has good build quality. I should note that metal body is really nice to touch. 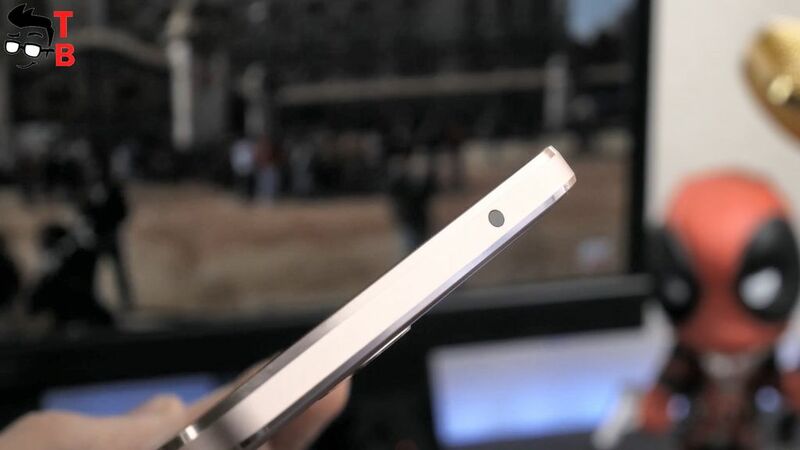 It has slim body – about 7.5mm and weighs 153 grams. The curved edges makes it comfortable to hold in the hand and it simply slips into any pocket. The display on LETV LeEco 2 X520 has 5.5 inch diagonal and Full HD resolution. As I said, there are 2mm bezels around the display, but you can not see them on black background. The screen has good contrast levels and viewing angles. In settings you can change saturation and warmth of the display. The backlight range goes up to 500nits. It means that you can use the smartphone outdoor. 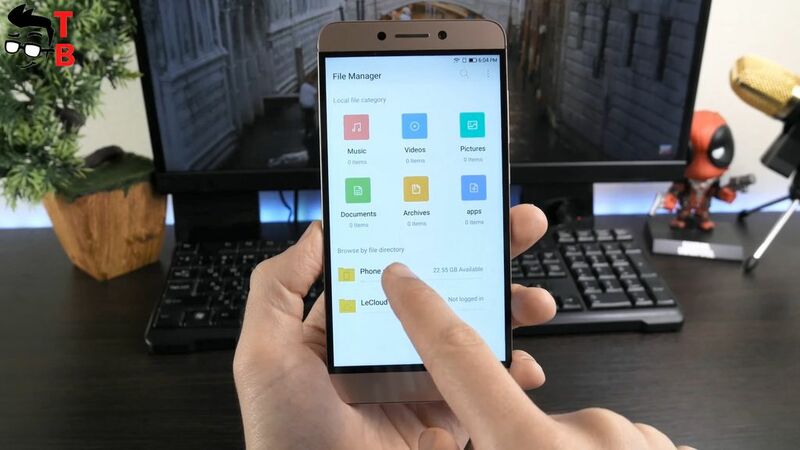 LETV LeEco 2 X520 runs on Android 6.0 with eUI 5.6 user interface on top. 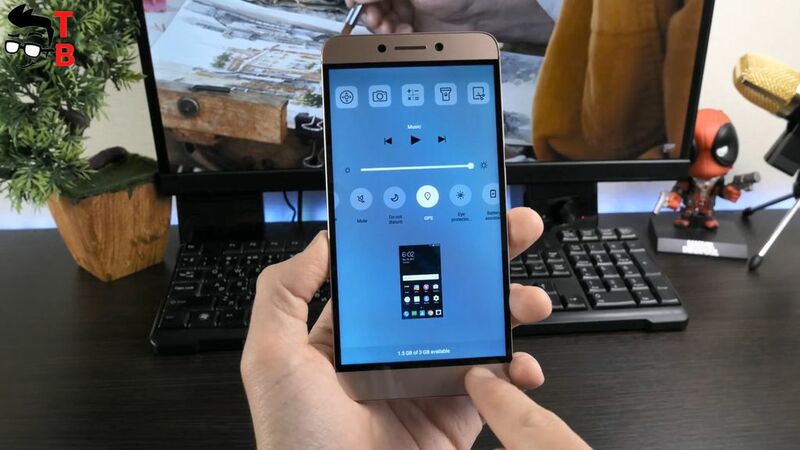 The same user interface is used on other LeEco smartphones, so if you already have device from this Chinese manufacturer, then everything will be familiar. 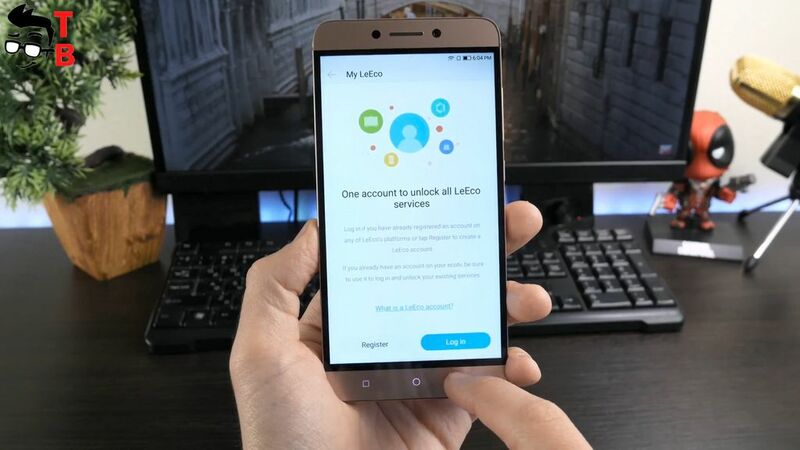 The most important things you should know: all apps sit on the home screens and there are a lot of LeEco services. I really like quickly access settings. Here you can change brightness, open recent apps and many other functions. There are a lot of pre-installed apps, for example an app to control iR blaster. In general, user interface works fast and smooth. Yes, there are many settings and applications that many people do not need, but they do not interfere with smooth operation. 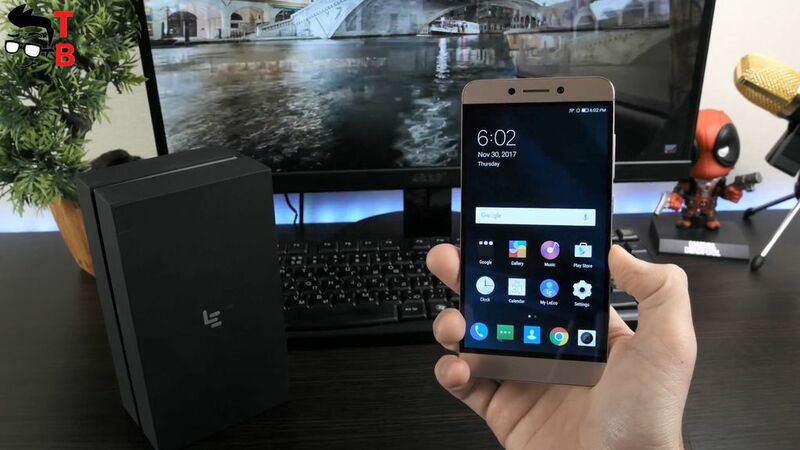 LETV LeEco 2 X520 is powered by Snapdragon 652 with clock speed 1.8 GHz. It offers great balance between performance and power saving. Also there is 3GB of RAM and 32 GB of storage. Please note, the smartphone doesn’t support external memory. As you already saw, the user interface works fast and smooth. 3GB of RAM is enough for multitasking. As for gaming, I will make a special video with full performance test of this smartphone. You can find it by the link in description. Right now I want to show you some benchmarks. Let’s start with AnTuTu. 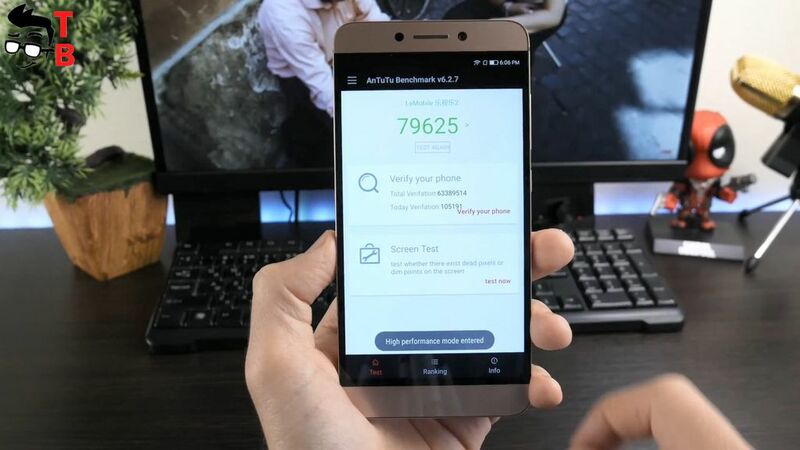 LETV LeEco 2 X520 has about 80 thousand points in AnTuTu. It is very good result for $120 smartphone. GeekBench 4 shows about 1395 in single core test and 3194 points in multi core test. 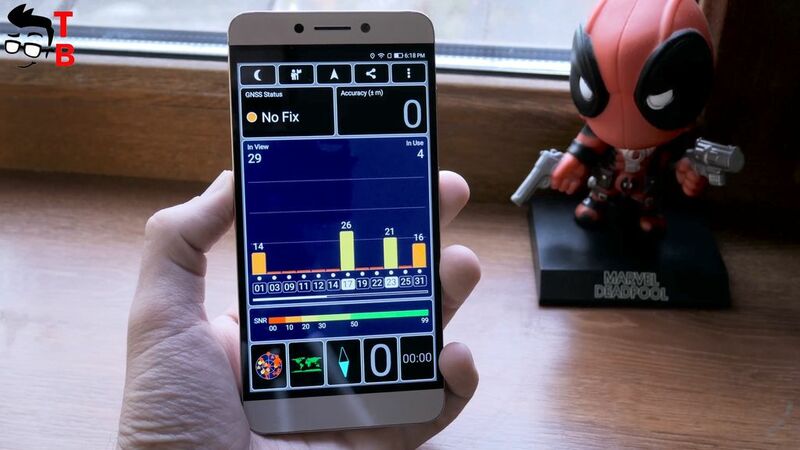 Many of today’s Chinese smartphones have much lower performance at the same price – about 30-40 thousand points in AnTuTu. 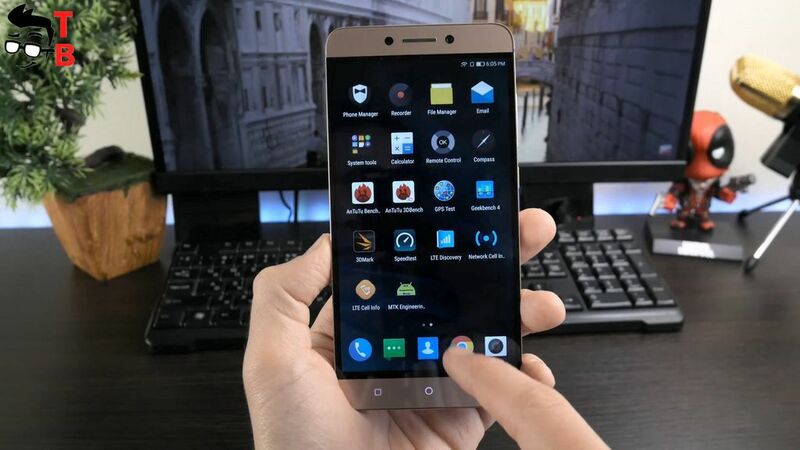 LETV LeEco 2 X520 was released more than a year ago, but it has very good performance. The smartphone has 16MP rear camera and with f/2.0 aperture. It comes with Phase Detection Auto Focus (PDAF) for faster focus. On the front panel there is 8MP camera. At the moment I can’t talk about camera quality. I received smartphone just today, and didn’t have time to take real photos. Later I will publish video with detailed camera test. You can find it by the link in description. 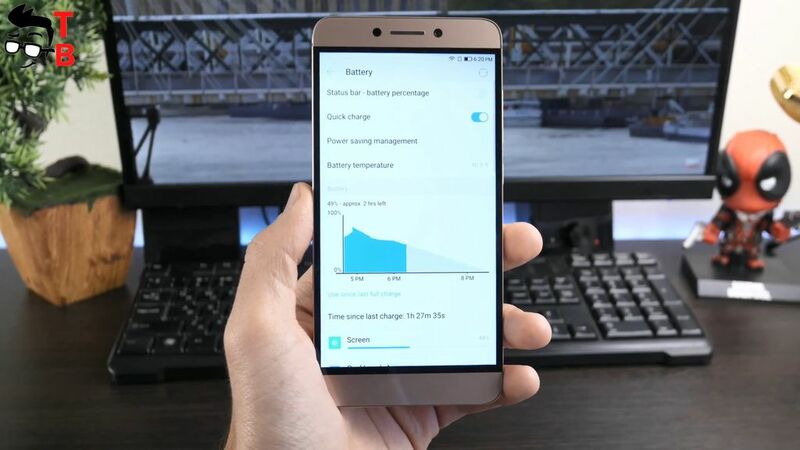 LETV LeEco 2 X520 is equipped with 3000mAh battery. Also smartphone comes with fast charging technology. 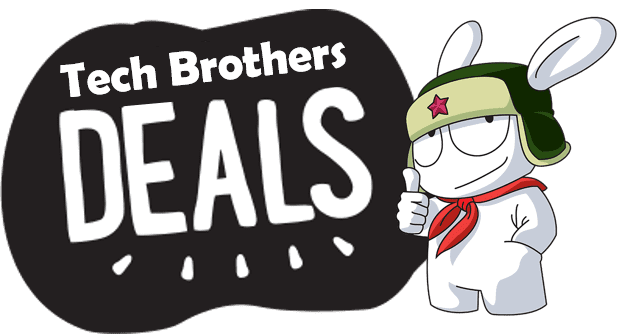 Now I want to tell you some information from manufacturer, but later I will make my own battery test and publish video on Tech Brothers YouTube channel. So, the manufacturer says that smartphone works about a work day with moderate use, or about 5 hours of screen on time. The full charge takes about 1 hour and 20 minutes. 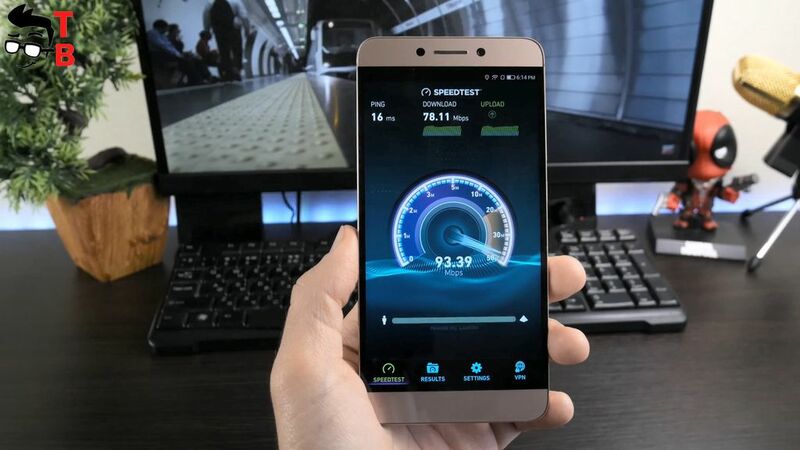 If we talk about connectivity, the smartphone works in 4G LTE and has VoLTE support. Also, there is dual band WiFi, 2.4 GHz and 5 GHz. Bluetooth 4.2, GPS and USB Type C.
I don’t have any problems with any connections, including GPS, that works very good. 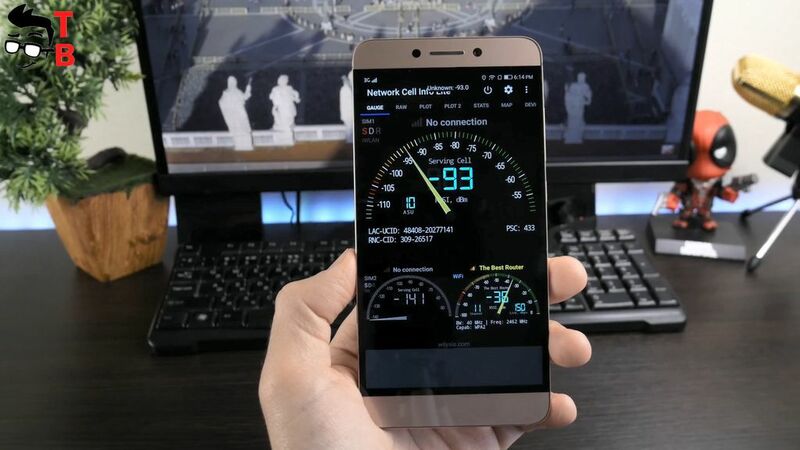 LETV LeEco 2 X520 supports dual nano-SIM cards standby. As I already said, there is slot for only SIM cards, not for microSD memory card. 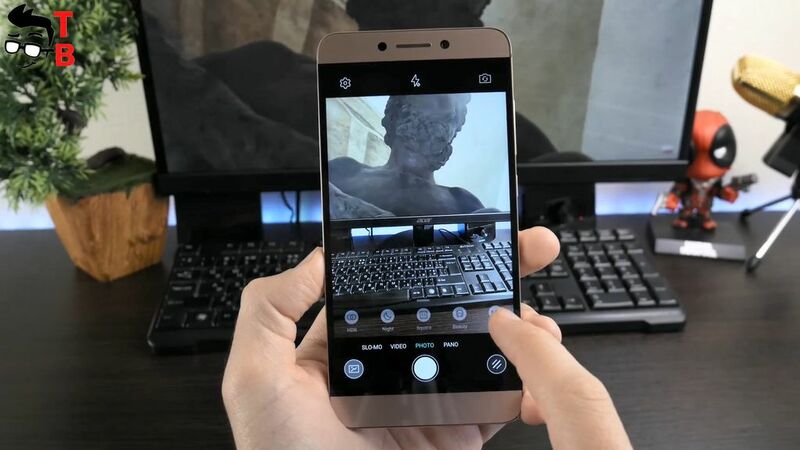 LETV LeEco 2 X520 is not new smartphone. It was released about year ago. However, I can say that it is better than many new devices. Its price is about $120, but it has 16MP rear camera, Snapdragon 626 chipset, 3GB RAM, fingerprint reader and 5.5 inch Full HD display. By the way, I really like its full metal design. The smartphone looks and feels premium in the hand.